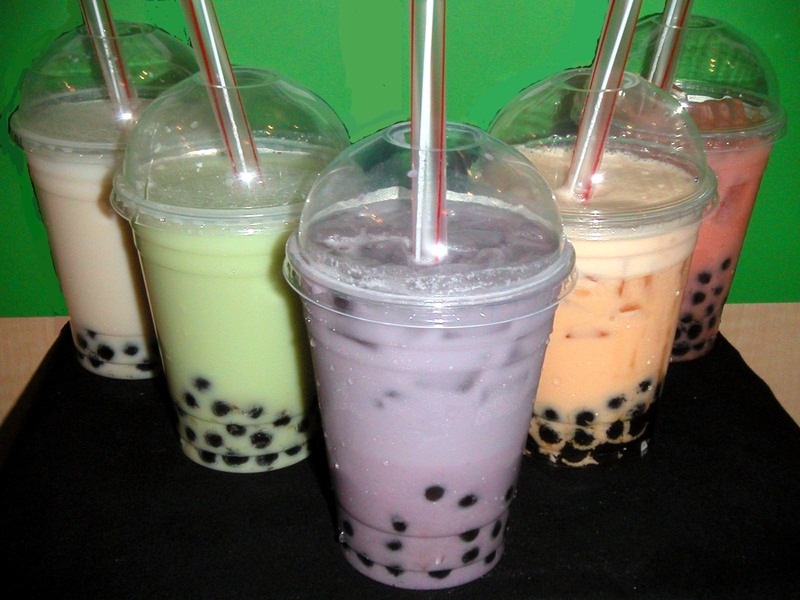 · 1 ounces of "Sugar Syrup" or substitution. 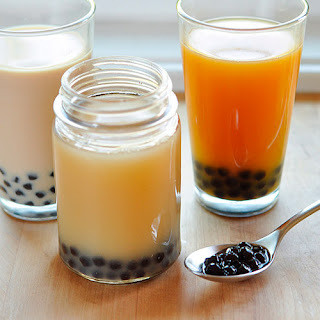 · 3 ounces a bubble tea powdered "Instant Mixes"
·3 ounces of Cream Base "Coffee Mate"
·3/4 cup of warm "Black Tea/Red Tea" and stir to dissolve the powder. 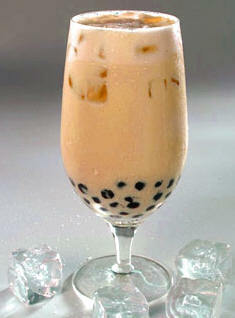 ·1 scoop of cooked Bubble Tea "Tapioca Pearls" in a serving cup. 1. Add all the dissolved powders except crushed ice and tapioca pearls into a cocktail shaker and shake until all ingredients are well mixed. 2. Add ice into the cocktail shaker and shake until fluid is slightly chilled and bubbly. 3. Pour the shaken ingredients over the Tapioca Pearls into the drinking cup and enjoy!